The public policy group America’s Survival, Inc. headed by veteran journalist and media critic Cliff Kincaid, is holding a conference on Russia-gate on Friday, November 10, at the National Press Club, with an emphasis on the role being played by former President Obama. 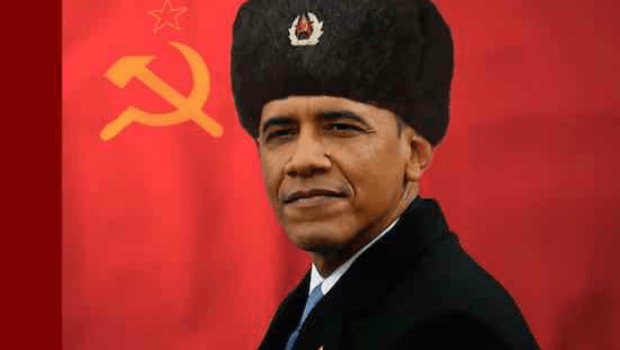 “The Obama name is being put on schools, streets, and highways across the United States, while President Trump and his former opponent, Hillary Clinton, are fighting off charges from the left and right of being Russian agents,” Kincaid notes. “Our conference will change the focus back to Obama.” The event will examine the Russian connections of the former president, who has mostly escaped scrutiny in the scandal but is re-emerging as the head of the Democratic Party and a major figure on the global scene. Filmmaker Joel Gilbert will discuss new research on Soviet agent Frank Marshall Davis, Obama’s mentor and father figure, while analyst Trevor Loudon will examine Obama’s plans to return the Democratic Party to national prominence through the Marxist-oriented “Brown is the New White” strategy of diminishing the power of conservative voters. Other speakers include author Constance Cumbey, author of The Hidden Dangers of the Rainbow: The New Age Movement and Our Coming Age of Barbarism, on the growing power and influence of anti-Christian religions, and Dr. Tina Trent on the George Soros-backed drug legalization movement now pushing heroin injection centers (such as in Seattle) and LSD and Ecstasy experiments on young people and soldiers.